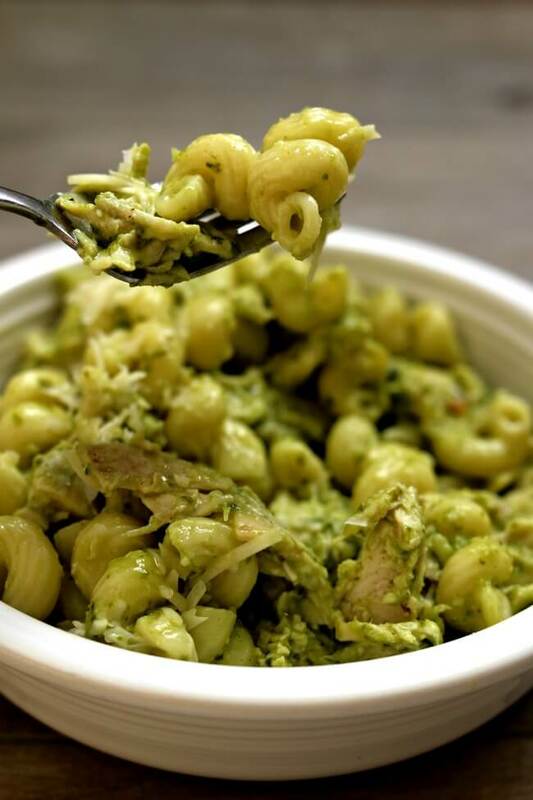 There are few things I love more than pesto. It is so vibrant and flavorful and you can pretty much put it on anything to take to take it to the next level. 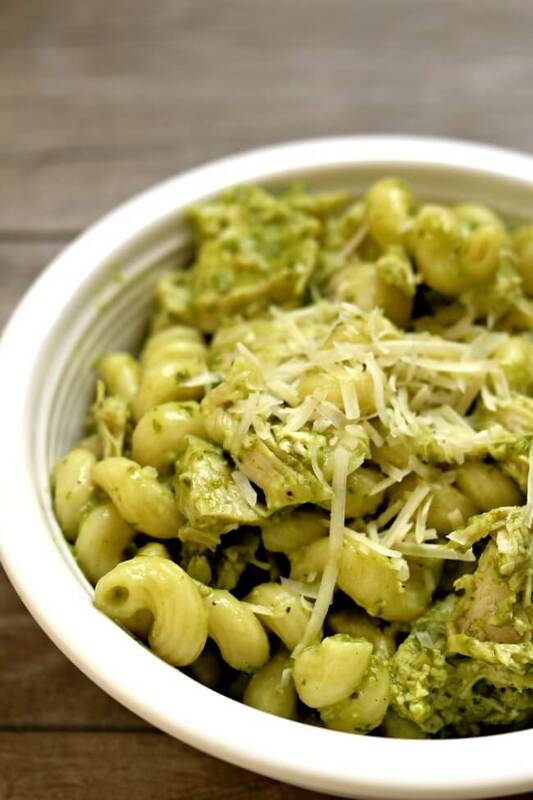 My favorite dish to make is a creamy pesto pasta with chicken. 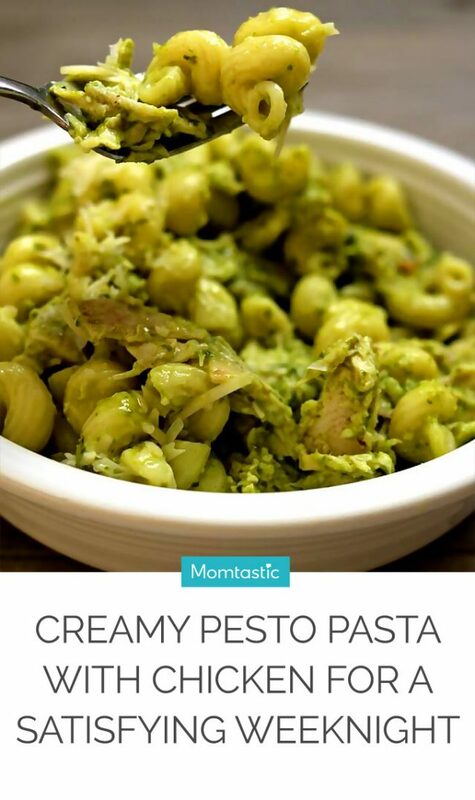 When tossed with a simple pasta it makes an easy meal that seems somewhat fancy. 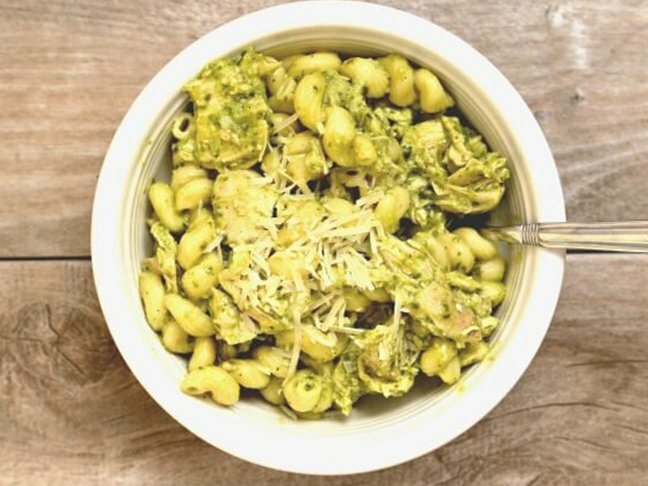 Pesto is one of those things that you can easily buy at the store to save time, but it’s not that difficult to make pesto at home if you are feeling adventurous. 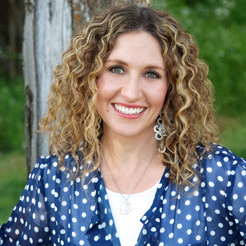 I like to buy curly cavatappi pasta or cellentani pasta. But really you can use whatever kind of pasta suits your fancy. Penne, rigatoni, or even spaghetti all work just fine. And If you want to brighten up the dish and add some color you can add in some fresh diced tomatoes. Or if you’re a huge fan of mushrooms you can cook some sliced mushrooms with the chicken to add some more texture. Step 2: Heat olive oil in a large skillet over medium heat. Sauté chicken until it is almost cooked. 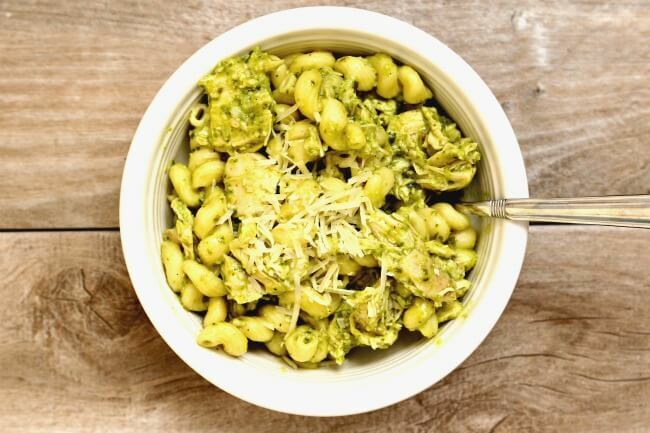 Reduce heat to low and stir in pesto and half and half. Cook until chicken is no longer pink inside.